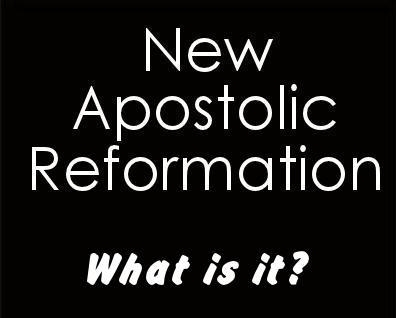 C. Peter Wagner invented the term "New Apostolic Reformation" and then pronounced himself God's appointed leader of it. It's a loosely knit association of churches and ministries on the outer fringes of anything resembling Biblical Christianity. Supernatural Signs & Wonders; Dominionism; The Latter Rain Movement; Joel's Army; The 7 Mountain Mandate; Third Wave Revivalism; IHOP; Bill Johnson's Bethel Church, The Hillsong Media Empire... these are all a part of this shape-shifting movement in one way or another. It is gobbling up churches and deceiving millions around the world. 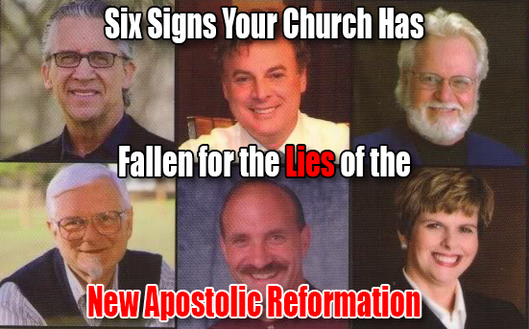 The New Apostolic Reformation, or NAR, is a counterfeit, unbiblical movement that has been gaining worldwide momentum. Its anointed celebrity leaders, meanwhile, are scurrying to distance themselves from the “NAR” label (invented by NAR founder C. Peter Wagner), especially now that discernment reporters have been shining the light of Scripture and the sheep have begun to take notice. How does a Christian recognize the red flags if their leaders deny being associated or affiliated with the more recognizable founders and celebrity leaders? 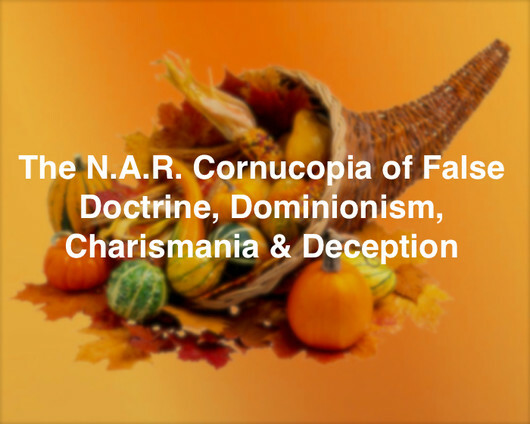 There are 6 distinct traits that characterize NAR’s core teachings, even if leaders or churches deny they have anything to do with the NAR brand. Supernatural Signs & Wonders; Dominionism; The Latter Rain Movement; Joel's Army; The 7 Mountain Mandate; Third Wave Revivalism; IHOP; Bill Johnson's Bethel Church, The Hillsong Media Empire, these are all a part of this shape-shifting movement in one way or another. It is gobbling up churches and deceiving millions who don’t even know they’ve become a part of an apostate, end-times falling away. We’re in a “Second Apostolic Age.” There are new Apostles are on the earth today, anointed by the laying of hands to represent and speak for God here on Earth. These "Super Apostles" are equal to the original Apostles – the ones who witnessed Jesus’ life, death and resurrection and were appointed by Christ Himself to the office. Since these new apostles are commissioned by God, their authority may not be questioned. Revival on a massive scale is key in this movement. There is a strong emphasis on an “end times harvest” through a great awakening that we can usher in. Often these revivals are held in stadiums and reach millions around the world via live stream technology; they are marketed and produced like rock concerts. All scripture verses about an end times falling away are ignored, and get replaced with hyped-up claims about the Next Big Thing that's always just around the corner. is a dangerous heresy. 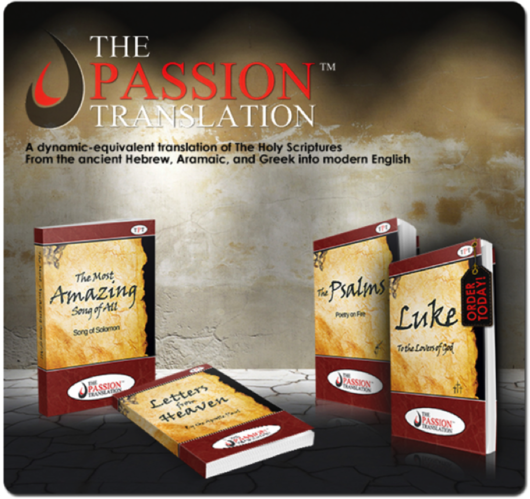 It is marketed as a "translation," but is not a real translation. What should we think of self-styled apostles who meet none of the biblical standards for apostleship? They make much of the gift of prophecy but lack the prophetic ability to identify charlatans and phonies in their own midst. They can’t perform apostolic-quality miracles and healings, and their message sounds nothing like what the original apostles preached. The truth is that they don’t do anything that would qualify as “apostolic” by any biblical standard. 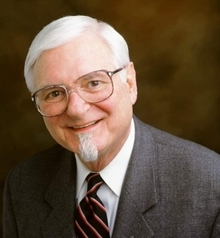 The New Apostolic Reformation (NAR) is a movement pioneered by C. Peter Wagner. This is what charismatic and continuationist doctrine looks like when taken to its logical conclusion. The NAR claims that not only the gifts, but also the office of apostleship still continues today. And as apostles, they pretend to speak for God and wield His divine authority—but it is all merely a pretense. What is the rationale behind this movement? According to Wagner, God’s people can only ever return to pure Christianity, as seen in the early church, if they “recognize, accept, receive, and minister in all the spiritual gifts, including the gift of apostle.” (David Cannistraci Apostles and the Emerging Apostolic Movement (Ventura, CA: Renew Books, 1996], p. 12.). A physical eyewitness of the resurrected Christ (Acts 1:22; 1 Corinthians 9:1; 15:7–8). Appointed by the Lord (Mark 3:14; Luke 6:13; Acts 1:2; 10:41; Galatians 1:1). Able to authenticate his apostleship with miraculous signs (Matthew 10:1; Acts 2:43; 5:12; 2 Corinthians 12:12; Hebrews 2:3–4). But the “proof” of Wagner’s apostleship came in 2001, in the form of an apostolic decree that God supposedly gave him to pronounce the end of mad cow disease in Europe. (C. Peter Wagner, Wrestling with Alligators, Prophets, and Theologians [Ventura, CA: Regal Books, 2010], p. 243) Never mind that nearly ten years later, doctors and veterinarians were still diagnosing the disease in people and animals throughout Europe. The New Apostolic Reformation is an extraordinary work of God that began at the close of the twentieth century and continues on. It is, to a significant extent, changing the shape of the Protestant world. (Ted Haggard, The Life-Giving Church [Ventura CA: Regal Books, 2001], p. 14). Wagner even goes so far as to describe this era as “The Second Apostolic Age.” His “studies indicate that it began around the year 2001,” although he doesn’t bother to explain or define what those studies were. (C. Peter Wagner, Apostles Today [Ventura, CA: Regal Books, 2006], p. 6). 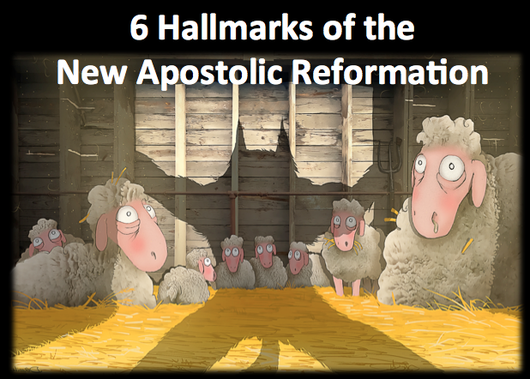 In this new age of apostles, several apostolic networks have been established. 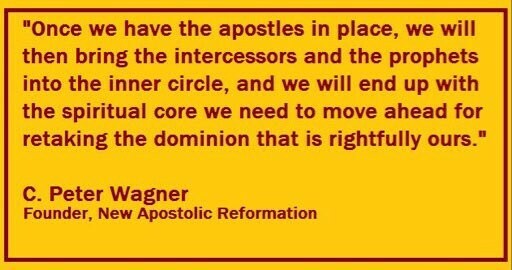 Wagner’s is called the International Coalition of Apostles (ICA). Its website contains a global map to help locate the apostles in your part of the world. According to the network, there are more than 150 apostles in the U.S. alone. But who determines when God has commissioned someone? How does one become an apostle? Actually, it’s not too different from joining a country club. According to the ICA website, the aspiring apostle must be nominated by two existing apostles who can show that he meets the ICA’s criteria. There are some fees, too. The pricing table for apostleship is curious. The ICA charges an annual $450 fee to be an apostle. However, Native Americans receive a $100 discount. There’s also a couple’s rate of $650, just in case your wife also happens to be an apostle. And you want to stay on top of your dues, because failure to renew your membership on time results in a “deactivated” apostleship—it’s not clear if that includes the deactivation of any spiritual gifts as well. All is not lost, however—a deactivated apostle can be reactivated for an extra $50. Put simply, becoming an apostle with the ICA is only slightly more difficult (and expensive) than purchasing a season pass to Disneyland. That’s a staggeringly low bar for apostolic authority—particularly when that authority includes speaking on behalf of Almighty God. People believe in Wagner’s apostleship simply because he had the temerity to claim it. But you won’t find delusions of grandeur and audacious whimsy in the list of biblical requirements for apostles. What is truly frightening is that Wagner is not an anomaly. The charismatic movement is overrun with modern apostles like Wagner. Some of its most influential leaders have claimed similar apostolic authority for themselves, dismissing the biblical standards and usurping authority the Lord exclusively bestowed on the founders of the church. Just a simple reading of the book of Acts is enough to illustrate how impotent and unfit these modern apostles are, and how their fanciful assertions have perverted and distorted the office of apostle beyond recognition. And they are impotent. As we’ll see next time, these modern apostles fall far short of the ministries of the New Testament apostles. Forget signs and wonders—these guys aren’t even capable of basic discernment. 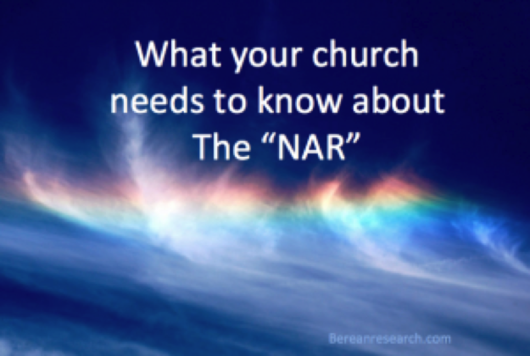 WHAT YOUR CHURCH NEEDS TO KNOW ABOUT THE "NAR"